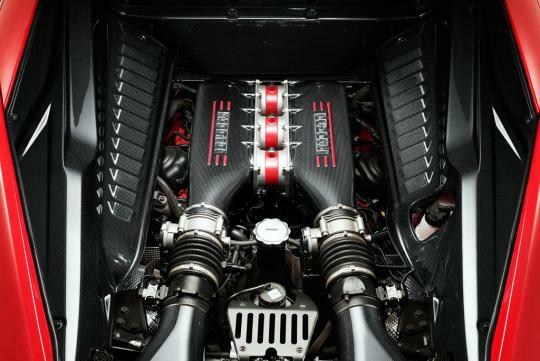 For the fourth consecutive year, a Ferrari engine has triumphed in two categories of the prestigious International Engine of the Year Awards - Performance Engine of the Year and the Above 4.0-litre class. 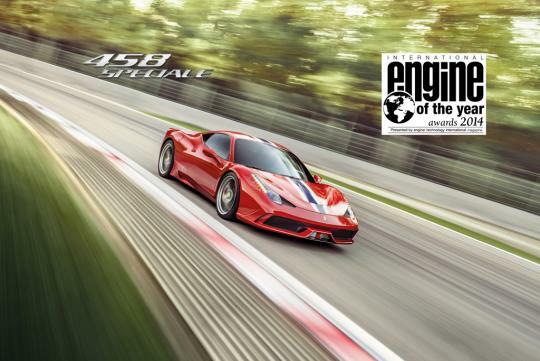 The winner on this occasion is the 4.5-litre V8 engine that equips the 458 Italia, the 458 Spider and, in its most powerful guise, the new 458 Speciale. The international judging panel included journalists from 35 nations and all praised the Ferrari V8's unassailable blend of sophisticated engineering, power, efficiency and, among others, its peerless soundtrack. The V8 won both awards for two years running in 2011 and 2012. Ferrari's award count is now an impressive eight in four years, including the naturally aspirated V12 in the critically acclaimed F12berlinetta receiving the same accolade in 2013.